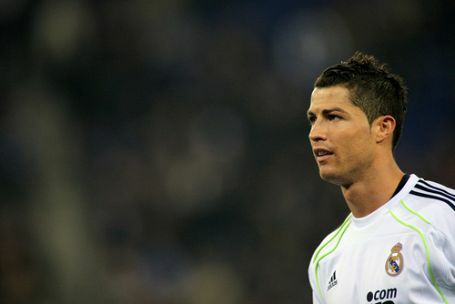 All Sevilla did was defend against Juventus and the onus to attack at home could leave them vulnerable to the counter. Juventus have just broken the Serie A record with 10 consecutive clean sheets. Last year's finalists will surely make life tough for Bayern. Arturo Vidal returns to face his former club on Tuesday night when arguably the two finest defences in Europe clash. 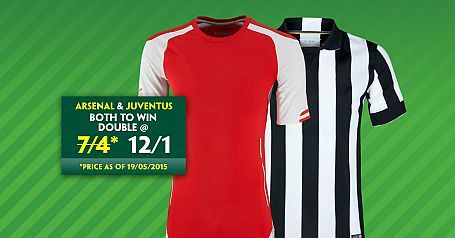 New Paddy Power can get a 20/1 Euro Cup Final acca of Man Utd, Bayern Munich & Juventus all to win in 90 minutes. Dortmund, Tottenham & Juventus are all playing at home and new Paddy Power customers can back the enhanced win treble at 10/1. Juve still have one of the meanest defences in Europe and very little incentive to attack while the scoreline remains goalless. Sevilla ran out comfortable 3-0 winners in their first meeting and Gladbach were flattered by a pair of draws against Juventus. Man City may be all-conquering in England right now but they have looked good domestically before only to crumble in the Champions League. The Catalan giants are deservedly favourites but anyone who thinks they will thump the Serie A champions is underestimating the Italians. Juventus need 0-0. Dortmund would progress with 1-0. Expect a game of chess to ensue. 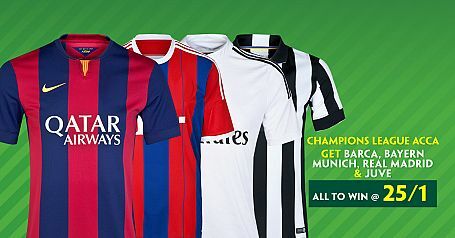 New Paddy Power customers can get an enhanced Tuesday Champions League treble of PSG, Juventus and Man Utd all to win at 40/1. 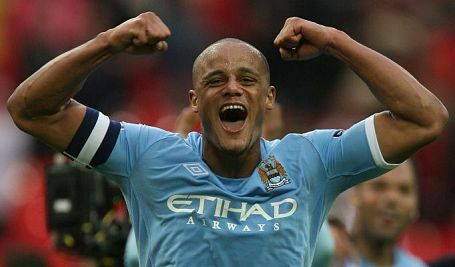 Open a new Betfair Sportsbook account and get Man City at 5/1 to beat Juventus in the Champions League on Tuesday. 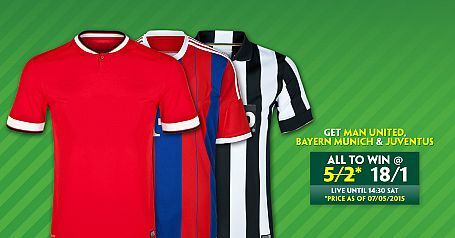 Open a new account with Paddy Power, place your first bet as a treble on Man Utd, Juventus & Bayern Munich all to win and get enhanced odds of 18/1. 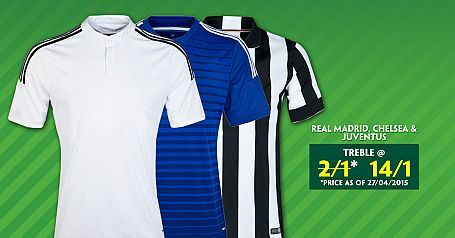 New Paddy Power customers can enjoy a Sunday accumulator with Spurs, Liverpool, Real, Atletico & Juventus all to win @ 30/1. 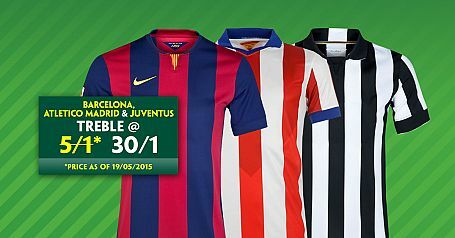 Open a new account with Paddy Power, place your first bet as a treble on Barcelona, Atletico Madrid & Juventus all to win and get enhanced odds of 30/1. 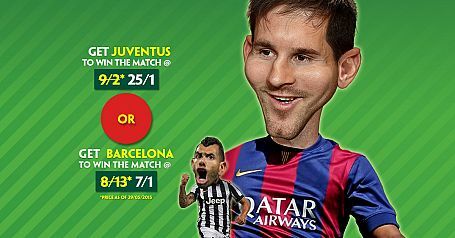 Open a new account with Paddy Power, and get Juventus at 25/1 or Barcelona at 7/1 to win in 90 minutes.